On 11/19/2018 at 3:03 PM, Secaucus Police responded to Macy’s located at 500 Meadowland Parkway on a report of an employee theft. During the investigation, a 24 year old female, Raichelle Brito of the Bronx, NY was taken into custody for Theft [2C:20-3A]. Brito was served her complaint summons and was released from custody. On 11/19/2018 at 4:20 PM, Secaucus Police responded to the Jersey City Police Department to take into custody a 25 year old female, Zaneta Kozlowska of Bayonne, NJ for an outstanding warrant out of Secaucus, NJ in the amount $2,500.00. Kozlowska was also found to have a warrant out of Hoboken, NJ in the amount of $68.00. Mr. Kozlowska was unable to post bail and was transported to the Hudson County Jail. On 11/20/2018 at 12:21 AM, Secaucus Police responded to the area of 700 Plaza Drive on a report of a driver asleep behind the wheel at a traffic light. During the investigation the police arrested a 45 year old male, Pedro Viegas out of Parsippany, NJ for Driving While Intoxicated [39:4-50]. Viegas was also issued 3 other motor vehicle summonses and was released into the custody of a responsible adult. On 11/20/2018 at 2:35 PM, Secaucus Police responded to Rent the Runway located at 100 Metro Way for a follow up investigation to a motor vehicle accident that occurred on 11/16/2018. During the investigation, a 40 year old female, Malika Murphy of Asbury Park, NJ was taken into custody for an outstanding warrant out of East Orange, NJ in the amount of $153.00 and Bloomfield, NJ in the amount of $124.00. Both the East Orange Police Department and Bloomfield Police Department released Ms. Murphy on her own recognizance and Ms. Murphy was subsequently released from custody. On 11/20/2018 at 8:52 PM, Secaucus Police responded to UPS on a report of an intoxicated employee refusing to leave the premises. During the investigation, a 21 year old male, Michael Dominico of Belleville, NJ was taken into custody for Disorderly Conduct [2C:33-2A], Obstructing Administration of Law [2C:29-1A] and Resisting Arrest [2C:29-2A(1)]. Dominico was served his complaint summonses and was released from custody. On 11/23/2018 at 1:21 PM, Secaucus Police responded to the Woodbridge Police Department to take into custody a 58 year old male, Steven Jandersits of Rahway, NJ for an outstanding warrant out of Secaucus, NJ in the amount of $200.00. Secaucus Municipal Court did release Mr. Jandersits on his own recognizance and he was subsequently released from custody. 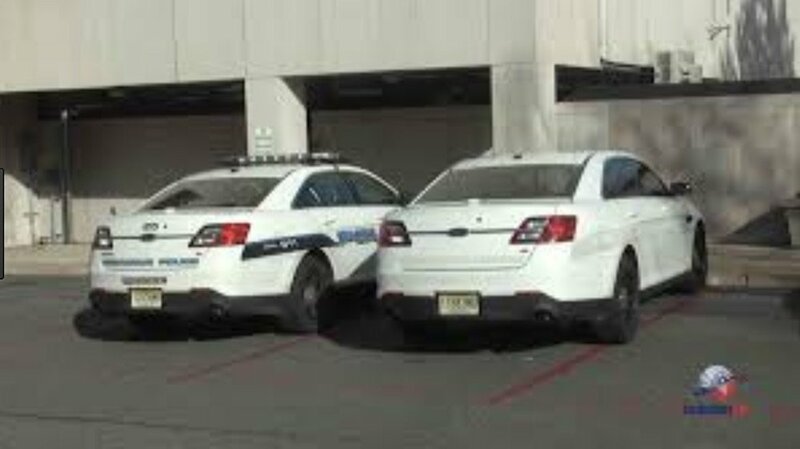 On 11/23/2018 at 10:19 PM, Secaucus Police responded to Walmart on a report of a shoplifting. During the investigation, a 18 year old male, Manuel Torres of Jersey City, NJ was taken into custody for Shoplifting [2C:20-11B(1)]. Torres was served his complaint summons and was released from custody.